Very little about the emerging global digital tax environment is simple. That includes the countless different models tax authorities use to execute it. The two types of continuous transaction controls, reporting and clearance, may on the surface look similar but are not at all the same, and companies need to know how to operate under each of them. Confusing the two can lead to unpleasant surprises. Reporting is the periodic, near-real time or real-time electronic submission of business data to tax administration platforms without dependency on the tax administration’s approval for those data points and their continued business processing to be valid from a tax perspective. Clearance is real-time or near-real-time controls of business transaction data submitted electronically to tax administration platforms whose approval is required for those data points and their continued business processing to be valid from a tax perspective. In other words, in the clearance model, the government has an active role at the point of transaction and actually validates the invoice before the transaction is complete. In the reporting model, the onus is on companies to prove the validity of an invoice only after, and not during, the transaction. That’s not the only difference, though. For instance, the data that is transferred from the taxable party to the tax administration varies greatly from one model to another. In the case of reporting or online audit—the first method, an up-and-coming method in Europe—different file formats can be required. While some countries (Spain, Hungary) define their own XML standard for these purposes, others (Portugal, Poland) are fully or partially based on the SAF-T specification issued by the OECD. A SAF-T file contains invoice data as well as various other data about the underlying supply from the ERP system and/or other systems used by the reporting taxable party. In the clearance model, the taxable party is required to send only the invoice and/or other business data that relates to the transaction step that the tax administration wishes to receive, record and approve. An example from the standards world, which has been designed to support this process for invoices, is the ISO20022 Invoice Tax Report message; this concept has not been broadly adopted yet, however—today, tax administrations mostly design the XML invoice ‘schema’ they impose without taking much inspiration from standards. So, why do these differences matter? How could confusing the two models have serious consequences? The primary reason has to do with how enterprise software works. In the last couple of decades, the systems that invoices pass through have split into two categories: ERP, for internal business processes, and business transaction management software such as procure-to-pay (P2P) or order-to-cash systems. With those systems separate, the difference in requirements for e-invoicing between clearance and reporting models is significant, and how a company handles each type of requirement matters for compliance. That’s because invoice data permanently travels back and forth across these different systems within and between companies, from source data in sales and logistics systems to records in the ERP system and discrete trading documents/data in transaction management systems. Therefore, when the law requires invoices to be communicated to the tax administration in real-time or near-time through an online method, companies may be unsure if they should meet that requirement while invoice data is being prepared or recorded in an ERP system or upstream internal systems, or during the business-to-business data exchange process. Tax administrations often do not produce clear guidance on this matter, and laws use generic terminology—for instance, referring to “the invoice” without specifying whether that means “invoice data” in an ERP system or “original invoice” in the exchange system. So, companies put pressure on vendors across these different functional categories, which can lead to both dangerous compliance process duplication and even to non-compliance because the vendor in question simply isn’t in the right position in the end-to-end data processing chain to get to the right data or perform the required interaction with the tax administration. In some cases, transaction management service providers have withdrawn support from some countries because they cannot be certain whether or not they have to meet specific reporting requirements. Among other problems it creates, the service providers’ departure means that suppliers in those countries may no longer be able to invoice their customers abroad. The challenges that arise from tax administrations inventing numerous hybrid forms of continuous transaction controls will increasingly impact the ability of businesses to move forward with their own digital agenda. In an ideal world, businesses would not need to worry about all of the different flavors of requirements to integrate with tax administration platforms—whether they demand data in real time, near-real time or for periodic transfer of larger datasets such as accounting ledgers. What companies need is an indirect tax compliance solution that can transparently add the right type of compliance wherever it logically belongs in a company’s existing and evolving systems landscape. Discover the industry’s most comprehensive guide to e-invoicing compliance, or learn more about Sovos e-invoicing compliance solutions that bring data and disparate systems together. 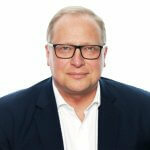 Christiaan Van Der Valk is vice president, strategy. Elected a World Economic Forum Global Leader for Tomorrow in 2000, Christiaan is an internationally recognized voice on e-business strategy, law, policy, best practice and commercial issues. Formerly co-founder and president of Trustweaver (acquired by Sovos), Christiaan also holds long-standing leadership roles at the International Chamber of Commerce (ICC) and the European E-invoicing Service Providers Association (EESPA). Over the past 20 years, he has presented at and authored key papers for international meetings at the Organisation for Economic Cooperation and Development (OECD), the Asia Europe Meeting, World Trade Organization and several other UN agencies. Christiaan earned his Master of Laws degree from Erasmus Universiteit Rotterdam.